Over the last 30 years, it’s estimated nearly 1,000 companies have filed for bankruptcy protection largely thanks to their status as defendants in thousands of asbestos injury lawsuits. Most filed for Chapter 11 bankruptcy status and have made efforts to reorganize, as well as establish trust pursuant to 11 U.S.C. 524(g), from which current and future asbestos injury plaintiffs can draw. Between 2003 and 2016, industry analysts say these companies and their insurers paid nearly $40 billion to the trust system, growing from 14 active trusts in 2004 to 58 by the close of 2016. These trusts are established with the intention of preserving assets for future and current claimants, relying on projections of near- and long-term claim filing and payment rates in order to manage the flow of money. In recent years, a number of federal and state-level legislative actions have targeted victims of mesothelioma, often specifically citing the payouts of these trusts, in calling for “greater transparency.” Ultimately, these are efforts to slow plaintiffs down and limit what they can recover. Let’s take for example the measure being mulled in New Hampshire. There, state senators have decided they will back away from another bill that is a larger part of a national lobbying effort by big manufacturers and insurers that would require people suing for asbestos exposure damages to first prove they are unable to get compensation elsewhere. This is a terrible idea for several reasons. As attorneys who represent people with mesothelioma in Boston and throughout Massachusetts, we know the early days of these lawsuits are crucial. People who come to us for help in exploring legal options following a diagnosis of mesothelioma often don’t have much time to live. Mesothelioma is a latent disease that develops many decades post-exposure, so by the time people are calling us, they are dying. Rather than simply pursuing claims against defendants we know may be liable, mesothelioma attorneys would first have to waste valuable time filing claims with asbestos trusts, even knowing those efforts are likely to be fruitless and even if we didn’t want to do so. It’s really nothing more than a way to deflect costs off defendants in these cases and to stall the plaintiffs. In New Hampshire, SB 335 has been introduced that would set the national proposal aside and instead establish a committee that will study the transparency of asbestos litigation, as well as the speed of those claims. 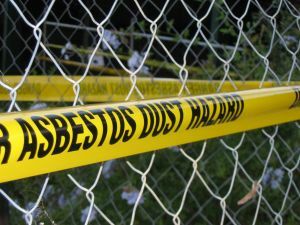 There are a fair number of lobbyists who will make noise about asbestos plaintiffs “double-dipping,” that is, collecting a payout from one or more asbestos bankruptcy trust and then suing or filing claims against numerous others. However, this ignores the fact that ascertaining liability in asbestos lawsuits is no easy feat, given the latency of the disease and the fact that exposure occurred many decades earlier and that asbestos was used for so many products and materials. Filing claims against numerous defendants is not a means to double-dip, but rather a way to hold all tortfeasors liable for creating unreasonably dangerous products or working conditions and for failing to warn people about these risks. It should also be noted that while there are lobbyists in New Hampshire decrying what a problem double-dipping is there, the reality is state courts haven’t handled an asbestos/ mesothelioma lawsuit there in years, according to NHPR. The law violates plaintiffs’ right to equal protection. The last legislative session marked the most recent attempt by Congressional leaders to undercut mesothelioma victims’ rights with the Furthering Asbestos Claim Transparency Act of 2017, or FACT. It sounds like a good thing, right? What could be harmed by greater transparency? And shouldn’t legitimate victims want to ensure these trusts remain intact for future litigants who suffer from this awful disease? But let’s break down a bit what that bill as it was written would have done. Proponents insist it would end so-called “double-dipping” practices, wherein a person make numerous successful claims against several asbestos bankruptcy trusts by requiring all claimants to reveal all of the other trusts from which they have claimed or collected compensation. However, what’s at stake is the privacy and financial protection of mesothelioma claimants. Most of these individuals do not have a good long-term prognosis. What the act essentially would do is put their personal information on a public website, leaving them vulnerable to identity thefts and other crimes – particularly when it’s denoted how much they were able to collect. Tens of thousands or hundreds of thousands of dollars may sound like a lot of money, but when you factor in the cost of medical bills and other expenses it’s not stretched far. Each plaintiff has a right to go to the trust of each company that contributed to their disease and seek their fair share. That’s not double-dipping, that is collecting compensation that is rightfully owed. Each of the claims are properly vetted when they are filed. The FACT legislation died in committee last year, and has thus far not been raised again this year. If you have been diagnosed with mesothelioma in Massachusetts, you do have a number of options available to you.